I have been in a battle against my body for the past few weeks. And it hasn't been pretty. My stomach wants to consume endless amounts of empty calories like those luscious-looking doughnuts pictured above! Just looking at them makes my mouth water and my stomach grumble. Oh, how I wish I was one of those people who could eat all manner of sweets and not gain an ounce. This is not me. My metabolism has slowed WAY down this year and I have a difficult time just maintaining my weight, much less losing the pounds that need to go. 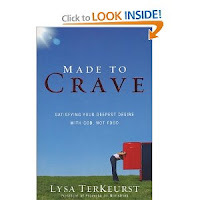 One of the books I am reading is called Made to Crave, by Lysa TerKeurst. Honestly, I have had a tough time reading it. I pick it up and read a chapter or two, then I have to put that thing away! It's made me take a long, hard look at the way I view food. I never really thought I had "food issues" until this book. I just thought I had "weight issues". Well, duh! The two do seem to go hand-in-hand. So...my toes have been stepped on just a little bit as I've delved into this area of my life. Not only have I been forced to seek God regarding the food that I put in my mouth, I have had to look at other things in my life that I have sought to satisfy my deepest cravings. Because, truthfully, I can think of many ways that I am filling up on empty calories in my life. Empty calories are those foods that that are high in calories but low in nutritional value. They give you a quick energy boost, then cause you to crash soon after. These foods do little to help your body grow and function in the way God intended. 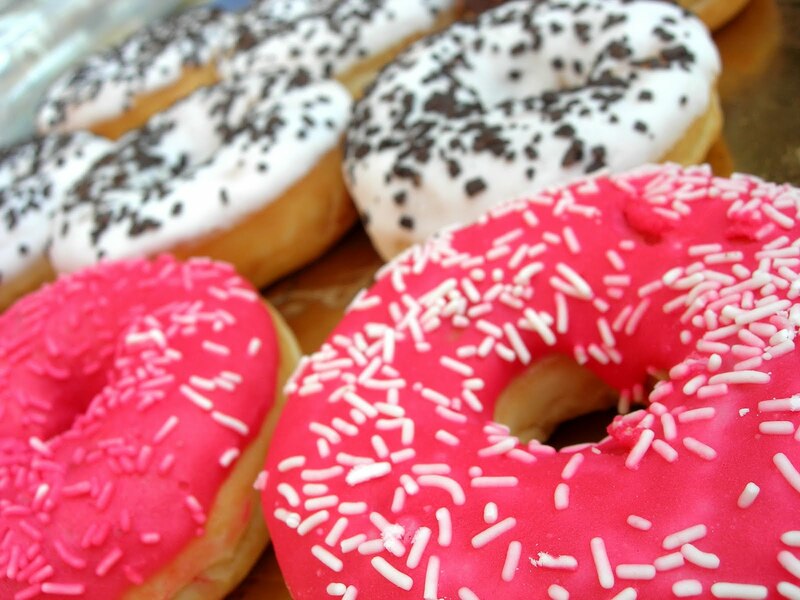 You know the foods I'm talking about - doughnuts, cake, sodas, white breads, anything fried. They look, taste, and smell so enticing. But their promises of filling us up and making us feel better fall short. The fix they provide is only temporary. In fact, these tasty treats serve to drive us further from our goals of good health, by blocking absorption of the vitamins and minerals that are essential to our well being. But food is not the only culprit of giving me temporary highs that do not ultimately satisfy. Digging deeper, I find many things in my life that are not nourishing for my soul. Things that offer no spiritual value. Things that cannot reach down into the deep, dark crevices of my life to bring healing and restoration. They may seem harmless at first, but they can actually hinder me from soaking up the truth that God longs to pour into my heart. In the food realm, empty calories can be found by reading the labels. Most of the nutritional values are listed right there for you. Sometimes, I avoid looking at the labels because I just don't want to know how bad those Cheetos really are for me! Once you've read the label, there's no going back. You now know that those Cheetos aren't doing you any favors. The same can be said for discovering the empty calories of life. The Bible has their spiritual values listed right there for us to read. Do you ever avoid reading God's Word because you don't want to know how bad the things you are putting into your life are for you? Once you've read it, then you know. You know that the shows you're watching, the books and magazines you're reading, the songs you listen to, the thoughts you think aren't doing you any favors. They may fill you for a moment. They may offer a temporary fix. But, in the end, they just leave you hungry for something more. Anything else is just an empty calorie. I'm glad to hear that you've had trouble with Made to Crave. Well, not glad in that way, but I bought the book. That's as far as I've gotten. I know my toes are going to be stepped on and I'm kind of afraid to even get started. About 6 months ago I realized that I had food issues. I'm an emotional eater. It took me a while to say that outloud. I blamed it on having babies, baking, stress, you name it. I even convinced my doctor to run a thyroid test. In the end, I just had nothing else to blame it on. I'm going to pick up my MTC book tonight. We will get our toes stepped on together.